Spend an evening under the Arkansas Valley stars at AVA’s Buena Vista campground. Located at the base of several 14,000-foot peaks, access to the Colorado Trail and several other hiking trails is literally out our back door. Make things easy on yourself—stay with us the night before your trip and/or the night of your trip. Wake up to a high-mountain sunrise over dramatic rock outcroppings, and then come into our main lodge to check in for your trip. When you return, your cabin or campsite awaits you. 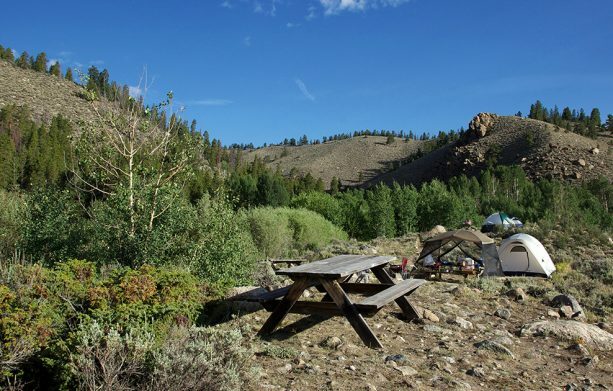 Walk-in campsites are nestled on a hillside behind our main lodge. The sites are flanked by a creek and have flat sand foundations for your tents. Each site fits one large tent or two small tents. Each site has a fire ring and picnic table. Bathrooms and toilets are provided for campers. Recommended check-in time is 3pm. 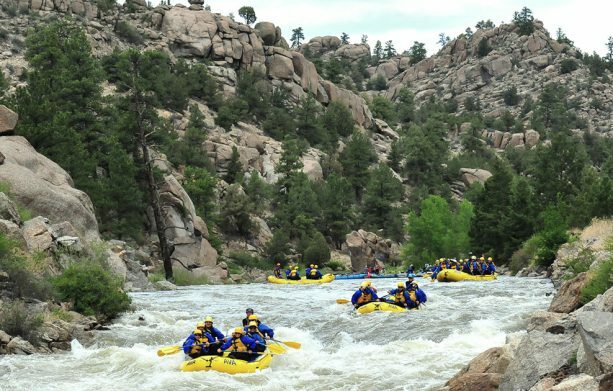 When you book with AVA Rafting & Zipline, we want to be up front with everything that will be included in your stay. Our campsites are the perfect way to enjoy some family time and not worry about driving multiple hours before and after your adventure. Though you’ll have to bring your own camping gear, you’ll be located right at the outpost so you can wake up and enjoy your morning before your trip starts.